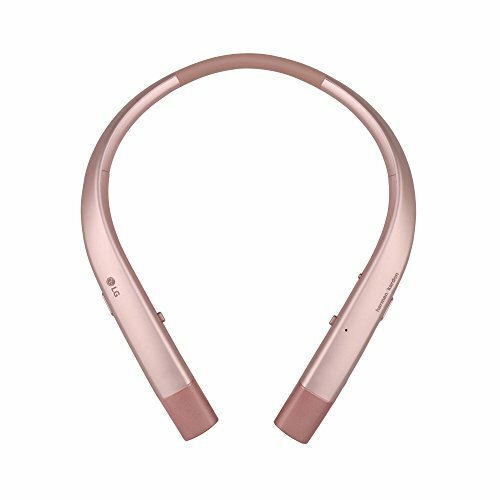 The LG tone Infinim is the premium Bluetooth wireless headset engineered for True audiophiles. Advanced Features create an audio experience targeted to achieve the highest standard of listening-from music to phone calls to multimedia and everything in between. Tone bass provides adjustable bass on the earbud, and harman Kardon signature sound comes through with crystal-clear quality and rich tones. Plus, advanced voice capture solution pinpoints a caller's voice while reducing surrounding noise. A body-contoured and lightweight design help accent the premium Features of the LG tone Infinim, for a natural feel and elevated listening experience you won't find in other wireless headsets. Tone bass - enjoy adjustable bass on the earbud for the ability to turn on/off boost bass when desired. Harmon Kardon signature sound - appreciate exceptional Audio with sound quality targeted for True music lovers. Metal layer speaker technology - experience less distortion for clearer highs and more natural sounding Audio. Advanced voice capture solution - capture the caller's voice while reducing unwanted ambient noise. Body-contoured & lightweight design - feel the comfort of a contoured, lightweight design. Refer user manual for troubleshooting steps.